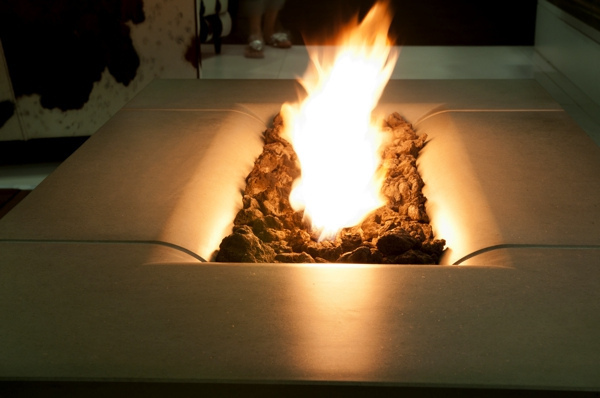 Natural gas is a very popular choice for fire pits because their characteristics make them convenient and safe to use. With a natural gas fueled fire pit, you can have a nice fire going in no time at all and without the hassles of a wood-burning product or fireplace. A natural gas unit can be lit with the turn of a key or the flip of a switch. Before constructing a natural gas fire pit, a gas line will need to be run to the planned location. Gas fire pits are permanent fixtures in your backyard. One of the best things about natural gas fire pits is that they never run out of fuel, so you can extend the use of your outdoor living space during the cold winter month. 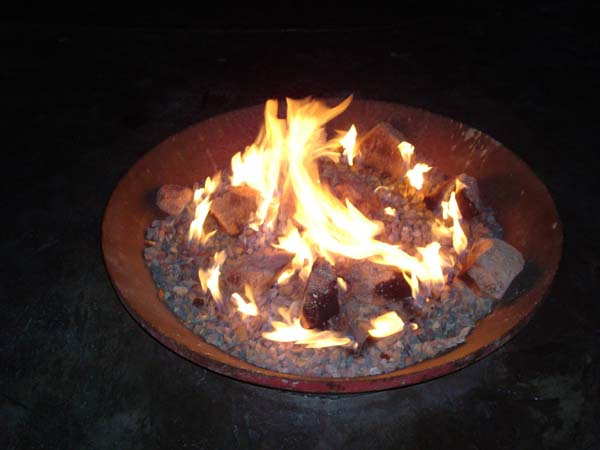 Here are a few different options to design this type of fire pit. If your backyard can install a natural gas line, then you have several designs option for your gas fire pit. Also called ground fire pit, it is built down into the yard or patio, so flames appear to leap from the earth. You need to be especially cautious around this design, easier for children or pets to stumble into the fire. Never leave kids unsupervised while around the pit. Also, when it is not in use, we recommend having it covered to prevent anyone from tumbling into it and keep out the weather. Design your natural gas fire pit to be raised above the ground with beautiful materials such as brick, copper, or stone designs, among others. They make a wonderful addition to any outdoor living space. 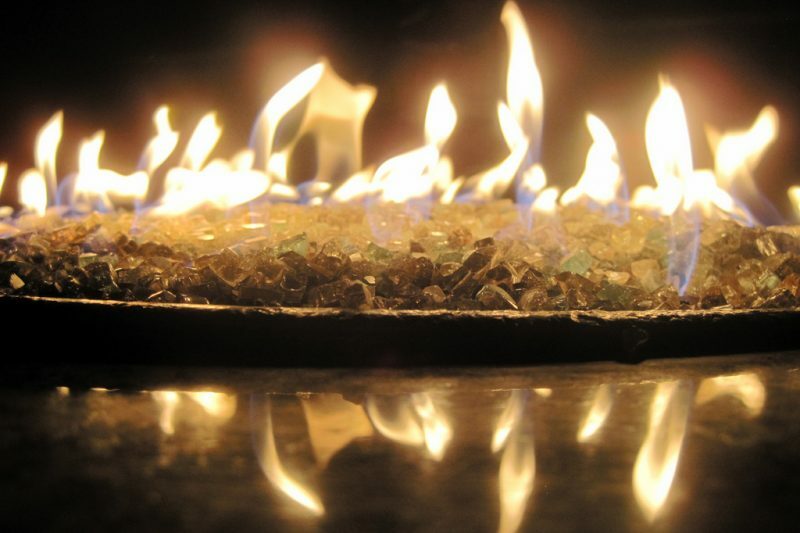 Just keep in mind that natural gas fire pits are affordable to run. However, having the gas line set up in your backyard is not another story. Depending on the location, it can be costly, so be prepared for additional expenses. Do not forget that this heating device is also permanent, so you wouldn’t ever be able to move the fire pit. Everyone enjoys the warmth and relaxing effect of a fire on a chilly evening. Get your new gas fire pit this season and look forward to many nights spent entertaining family and friends around the open flame. Hi-Tech Appliance has the best fire pits in the area. Please browse our website to learn more about this amazing outdoor heating product.